Liked your post but just wanted to raise another question. No doubt that farming, especially when it comes to animals, changed and grew drastically in the past 100 years to the point that instead of a farm it now can almost be viewed as a torture house where soulless people mistreat animals for the entire duration of their lives only to ruthlessly slaughter them at the end. 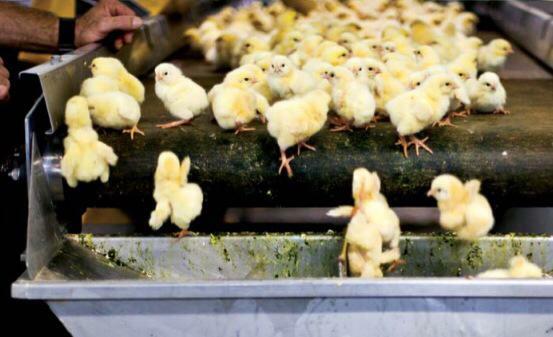 No doubt that the conditions and practices employed by commercial farmers are far from humane. But does that mean that the average person would feel neither disgust by such a process nor pity for the animals? Could it be that modern people just don’t think of meat that way? Does a person look at a veal chop and picture a baby cow? I can only look at current society through the prism of economics but it seems to me that people lost touch with the real world at least when it comes to understanding of the nature. Kids learn about farms in school and spend some vacation time outside the city but that is it. Most of our time is spent in the artificially created environment that uses nature only as a decoration. Do we really need to know how our food is produced? In the recent past, some of the major scientific breakthroughs were accomplished by theoretical scientists. Our brain utilization expanded beyond what could be possible imagined 1000 years ago. But does it mean that we became more spiritual? I don’t think that anybody can answer this question. Just as previous generations viewed the next generation as “lost”, so do we. But I guess my point is that we can only do our best, teach our children kindness towards not only to fellow people but to animals as well. As time goes by we may actually become vegetarian.